Poet and novelist Paul Tobin lives in Torquay, Devon. He grew up in Widnes (then part of Lancashire) in the 1960’s and lived in Somerset for over thirty years. Like any exile he finds himself drawn to writing about the places he used to live. Paul started writing poetry when he was 12 after dreaming his first poem, but he did not start to get the hang of it until well into his twenties. Science fiction has long fuelled his imagination. Of late his poetry has been interested in parallel worlds and missed possibilities. Paul has a long standing interest in space and Yuri Gagarin which dates from following the space race as a child. 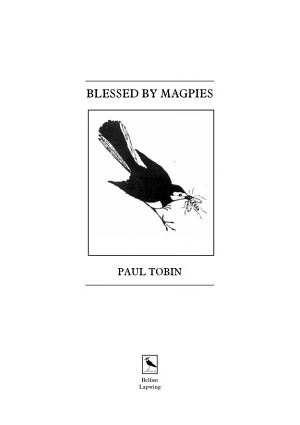 Paul's second collection Blessed By Magpies was published by Lapwing Press. 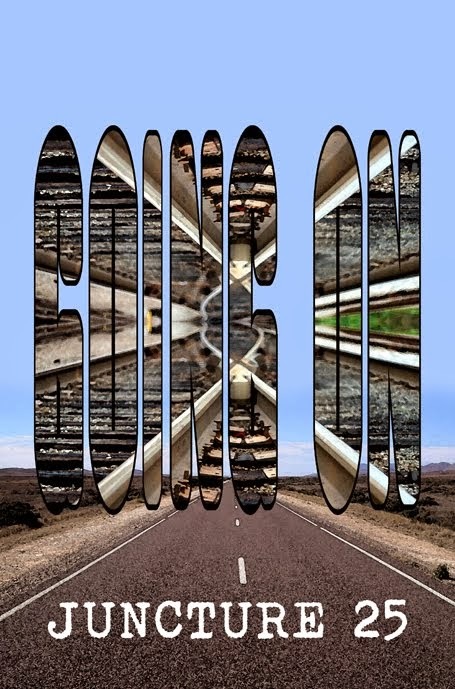 His third collection Flash Words was published by Lapwing in November 2014.
a miscellany of characters, from old time professors to Amundsen in the Antarctic, the friend on a bridge to Gagarin in free-fall. Tobin creates compounds from unlikely materials, stirring counter-culture-cool with hard science, political critique with folklore. There is something a little zany beneath his sober testimony. At his best Tobin is able to animate relationships with a Spartan turn of phrase. 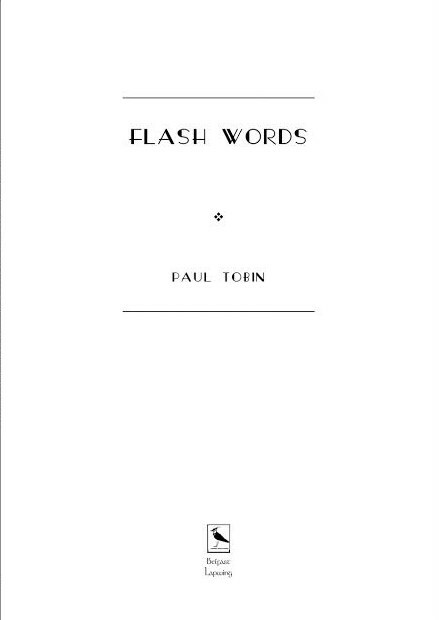 It is almost like a time-machine, stepping into Paul Tobin's poetry with its mixture of nostalgia and steam-punk reveries... At times, a scene takes on a sharp focus both painful and lovely at once and from within his wryness and humanity something elemental looms. The new collection by Paul Tobin is important in that it defines where we are and hammers down a marker of sincerity. His style is flat like a plate of steel. His words shot in like rivets – the right degree of hardness, a push fit. It is poetry made with hand tools, some worn eccentrically to impart the hand that holds it, the mind that knows the feel and the balance of its task...Many of his poems mature in the mind overnight and I suspect many 4am contemplations... “Flash Words” contains a body of poetry only possible from the mind of a lifelong poet. hypnotic, absorbing, undulating skillfully between the remembered and the present, the solid and the ineffable, dream and flesh. Often Tobin's poems hold echoes of Adrian Henry or Paul Farley as they conjure a lost North west of England, but there is a truthful longing to this work that resonates far beyond geography. 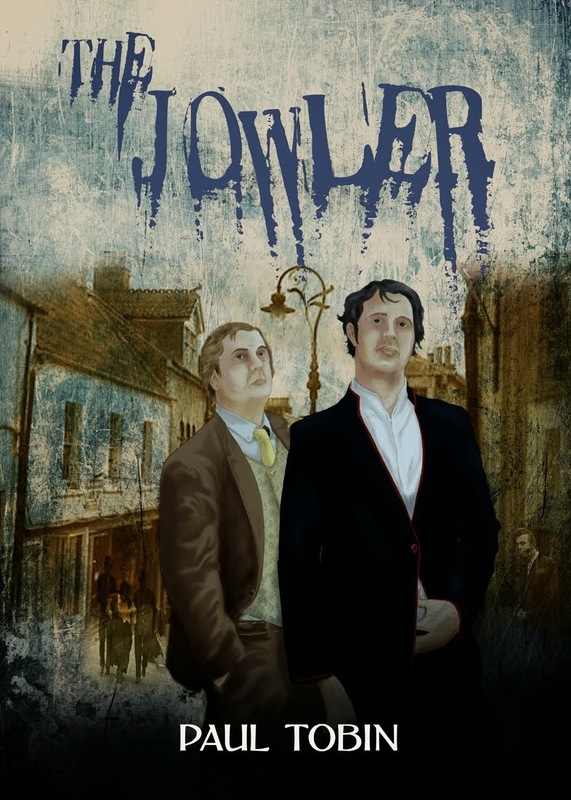 Paul's first novel; The Jowler, a steampunk who done it, with more than a twist of time travel paradox, is available as an ebook. 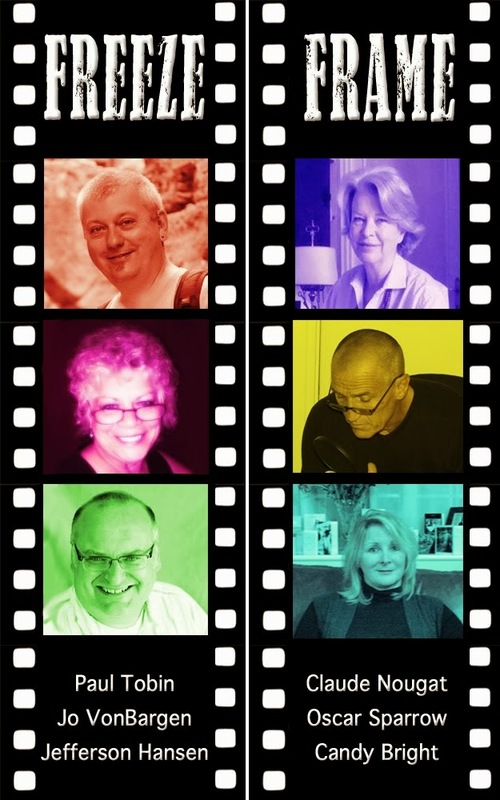 A former member of the Fire River Poets, Paul facilitated Juncture 25, a group of 8 poets who read at festivals and launched their first anthology at the Taunton Literature Festival 2013. The group has now parted, with several members publishing popular collections and establishing successful careers. Not one for submitting to magazines or entering competitions, Paul did however win The Bridge Poetry Prize in 1983 (given by The Bridge Arts Centre in Widnes). He prefers to use his blog as a communication medium. Here you can read most of his work and chart the development of different poems. Paul has performed at festivals since 2011. Paul has facilitated Juncture 25 since the group's inception in 2011. Paul will be running a workshop and reading at this year's Tropical Pressure Festival. Paul was the featured poet at Fire River Poets monthly reading in November 2015. 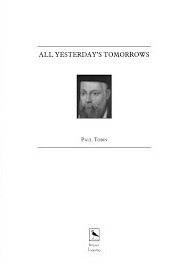 Paul's new poetry collection All Yesterday's Tomorrows was previewed at the 2018 2000 Trees Festival. Paul judged The Royal British Legion poetry competition Original Voices in July 2018 to commemorate the ending of the First World War. Paul coordinated the poetry at CIC CIC's Leonard Cohen celebration in November 2016. He also organised the poetry input for the Bob Dylan birthday event that took place earlier in June 2016. Paul was one of six poets asked to contribute to the Freeze Frame anthology. He collaborated with artist Alison Wilson on a mixed media project inspired by Mexico. This is now in the Brooklyn Art Library as part of the Sketchbook Project and you can see it here. He has worked with artists for the past ten years and some of these Collaborations are on this blog. Paul has also worked with Corvus Press UK to produce illustrated stories for various anthologies. His steam punk quartet of graphic novels C02 is scheduled for release in 2020.